The Ghana Football Association has sanctioned a game being organised by the Association of Sports Broadcasters (ASBOG) for all foreign-based Ghanaian players, currently on holidays in Ghana. The game which will be played at the Ohene Djan Stadium on Monday 27th December, as part of the holiday activity dubbed "MONDAY STARS SOCCER FIESTA". All old and new national team players will be paraded in the game, which will give the new Black Stars coach Ratomir Dujkovic the opportunity to see all materials he can muster for the World Cup Qualifiers next year. 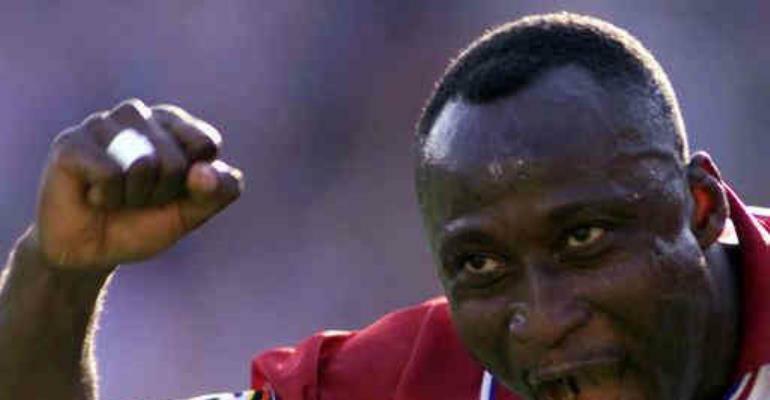 Former stars striker Anthony Yeboah will lead the stars from the north whilst former black stars captain, Abedi Ayew Pele, will lead the southern team. Black Stars captain Stephen Appiah will be in the southern team, which includes Michael Essien, Laryea and Richard Kingston, Afo Dodoo, Yaw Preko, Kofi Amponsah, Derrick Boateng, Peter Ofori-Quaye, Arthur Moses, Godwin Attram and host of orthers. In a curtain raiser, ASBOG will play the Black Queens at 1:30pm. The fun soccer game will bring all soccer folks together to reminiscent and bidge the gap between players and the sporting media.